We provide the NRA Phase ll Basic Pistol Course. 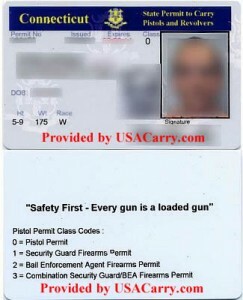 This DESPP (Department of Emergency Services and Public Protection) which is the CT State Police, issued Pistol Permit, is for anyone over the age of 21 and allows for the carry and purchase of handguns, long guns, and ammunition. The main objective of the NRA Phase ll Basic Pistol Class is for the student to learn the basic skills, knowledge and attitude to safely handle pistols and revolvers. The Phase ll Pistol Class includes classroom training on gun parts and operation, ammunition safety, cleaning, storage, loading and unloading, shooting fundamentals, range safety and pistol sports and activities. Students are then required to demonstrate safe gun handling while completing a live fire exercise on the shooting range. Connecticut laws will be discussed in general. It is highly recommended that all students follow up their basic training and take these advanced courses once they receive their permit and purchase their own handgun. The National Rifle Association’s Phase ll Basic Pistol Class meets this requirement in Connecticut, successful completion of this course also meets the training requirement to apply for Non-Resident Carry Permits in Florida, Maine and several other states.